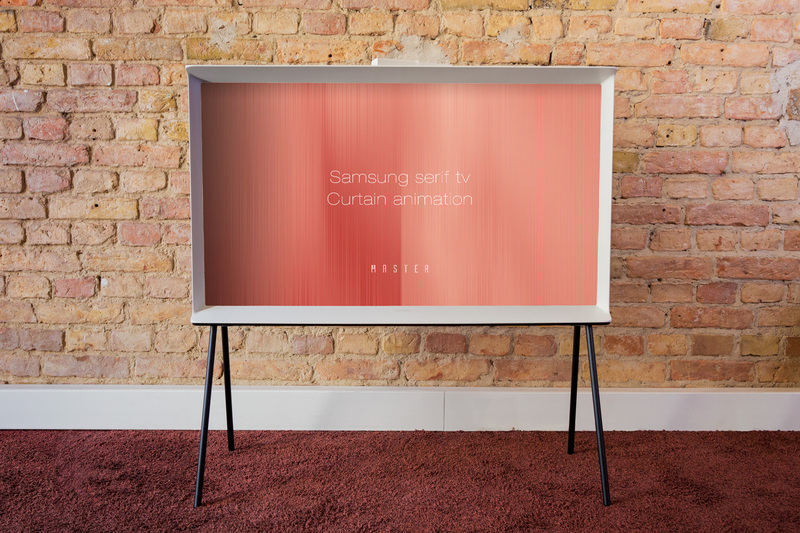 In partnership with the Parisian design-duo Ronan and Erwan Bouroullec, Samsung designed the concept for the Serif TV. The brothers are mainly known as industrial designers, fittingly the Serif designs also to serve as an independent pieces of furniture in their own right rather than just mere entertainment electronics. 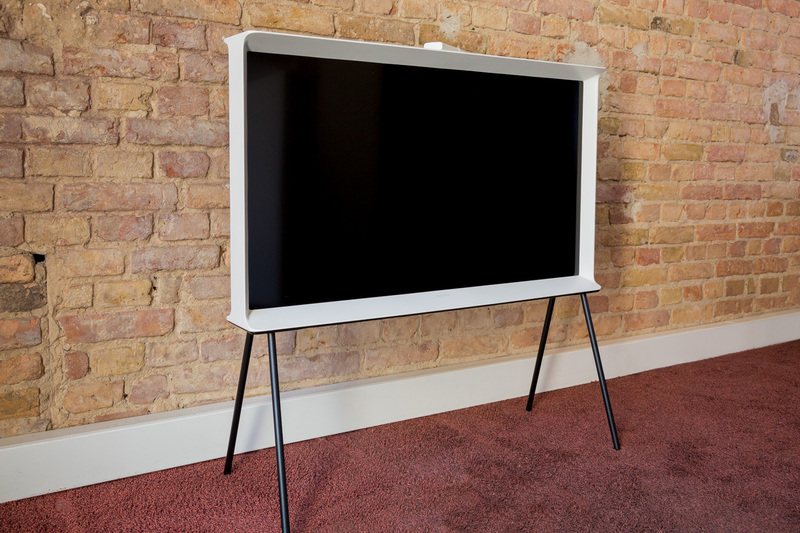 The television models were presented for the first time at the London Design Festival 2015 and are now finally on sale at Hifi im Hinterhof. The inspiration for the case was the serif letter ‘I’, the shape of which is formed in the side view of the device. This also explains the name of the TV. Seen from the front, the screen looks as if it were placed in a picture frame by its seamless, prominent frame. The upper side can be used as a practical footprint and downwards the device has a stable base and can be supplemented by feet if necessary. 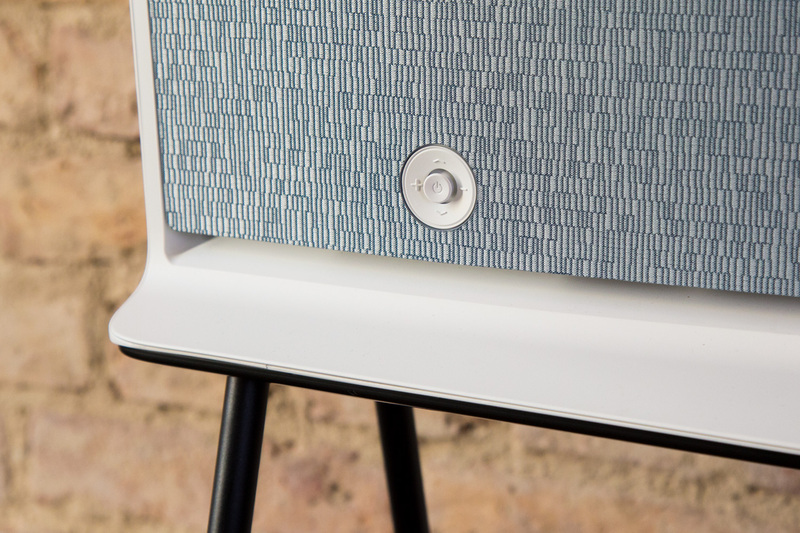 The backpanel of the monitor has also been carefully designed: the TV is equipped with a woven fabric panel, which can be magnetically attached to the backside to make the cable and plug disappear visually. The smallest 24 inch screen is available in white and red, the two larger models of 32 inch and 40 inch in the white and dark blue colour ways. All three Serif models have a different resolution: the largest (40″) has Ultra HD, the 32″ over Full HD and the 24 “over the HD Ready resolution. The TVs are not HDR-capable, but can be at all UHD Blu-rays play, whose format is then, if appropriate, down-counted. The larger model is brilliant with its upscaling technology, all in common is the DTS virtual surround sound and a powerful quad-core processor. In addition, all models have Smart TV features as well as Bluetooth, WLAN and screen mirroring. The latter is a special feature of Samsung products, which allows content to be mirrored onto the Samsung TV without a cable by a compatible smartphone or tablet. In addition to an already large assortment of preinstalled apps such as Netflix, YouTube, Amazon Video and many more can be added as needed. Particularly exciting is the specially designed interface of the Serif, which among other things contains the “Curtain Mode”. This enhances the picture frame impression of the TV. 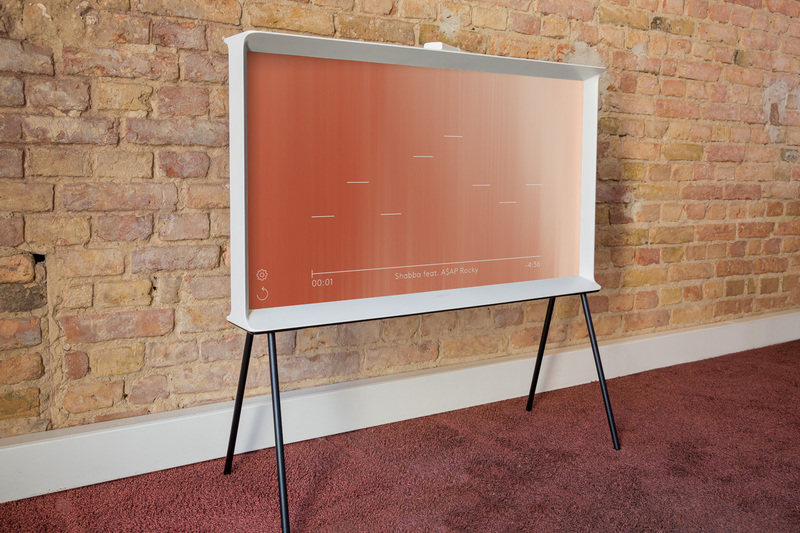 It usually runs when music or radio streams over the television and conceals, similar to a screen saver, current unneeded screens with a digital curtain. The Serif TV also has a USB port, to which mass storage can be connected to record TV programs. The two HDMI connectors allow the connection of Blu-ray players, game consoles, Soundbars and the like. 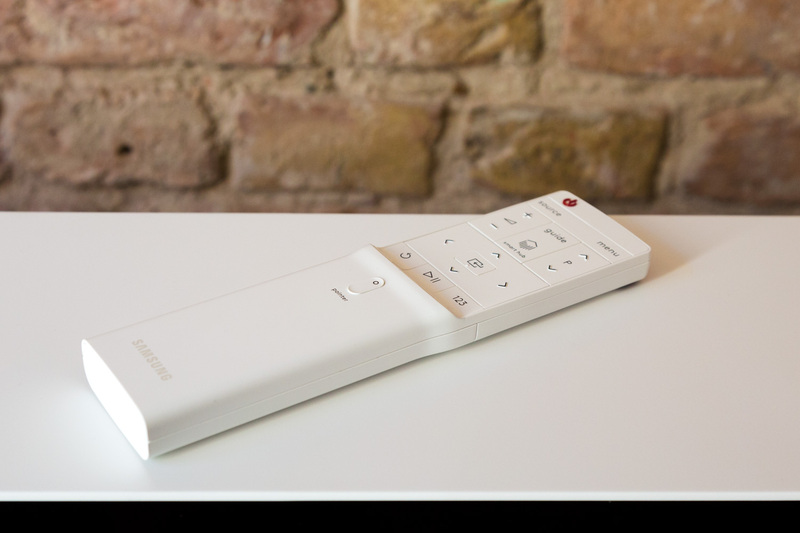 Furthermore, a minimalistic remote control has been specifically designed for this TV, which has been specially you canadapted to the functions of the existing Samsung TV software. 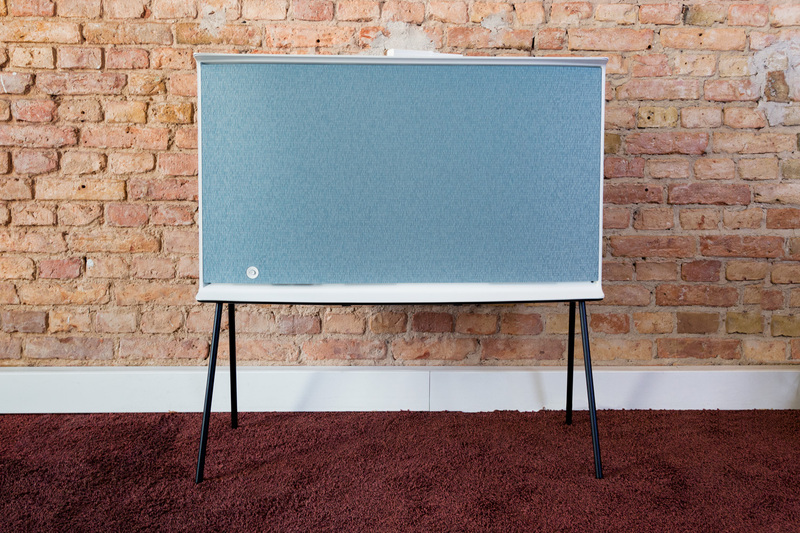 The Bouroullec brothers developed an unobtrusive design object so that the TV, unlike the usual monitors with plastic housing, can be worked into the personal home style. 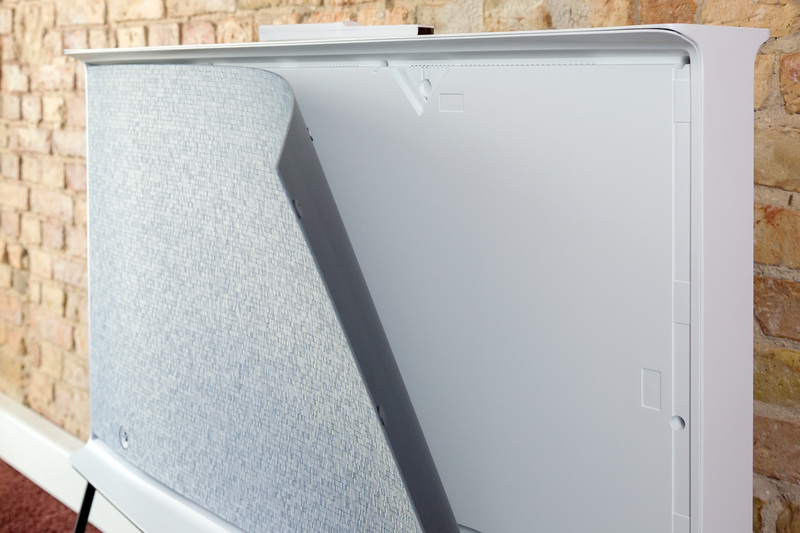 Although demand and supply are particularly high in terms of ultra-thin displays, Samsung is moving in the opposite direction with the Serif TV, creating a device that can fit into every room.